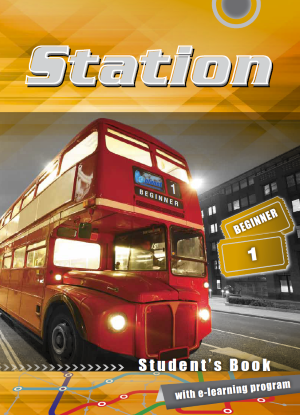 Station 1 is a 20-hour course at beginner level. It will help you learn or remember the basics of English: the alphabet, numbers, colours, family members, food and drink, etc. With this simple course, you will be able to communicate in English before you know it! Station 2B is a great course for the elementary level students. Develop your language skills while learning to discuss important aspects of everyday life: food and drink, household chores, education, and family. Take advantage of our amazing e-learning program, Learn English, to improve your English faster than you ever thought possible! Station 3A is the best course for pre-intermediate level students. Learn to talk about sports and physical activities, jobs, environmental issues, and the world of nature. Develop your language skills further by using our one-of-a-kind e-learning program, Learn English. Station 3B is a fascinating course for teenagers and adults alike. It features a variety of intriguing topics: arts and entertainment, unusual houses and hotels, fitness and beauty, as well as science and technology. Combined with our e-learning program, Learn English, this course will soon turn you into a fluent English speaker! Station 4A is an interesting and enjoyable course for intermediate level. Develop your language skills by discussing a variety of topics: personal qualities, the paranormal, volunteering for a good cause, technology, and future inventions. Your study of English will become a lot easier with our amazing e-learning program, Learn English! Station 4B is a very helpful course for adults and teenagers. Talk about online shopping, learn about the importance of recycling, explore the world of work, and discuss sports. Your reading, listening, and pronunciation skills will benefit greatly from our unique e-learning program, Learn English. Building your vocabulary and grammar has never been easier!